3,000! Page count is now raised to 120 pages. New extras! WOW, I can’t believe we’ve reached 3000! This is awesome. I did some math and got a new quote from the printer and it looks like I’ll have no problem upping the page count to 120 pages! This makes me rather happy because I was afraid I’d have to leave some of the art out of book if it stayed at 96 pages. So thanks again everyone! Wooo I get to slave over more pages! I also want to let you all know that once this Kickstarter ends the actual price of the book will end up being around 30.00 plus shipping (the extra page count makes a difference here). 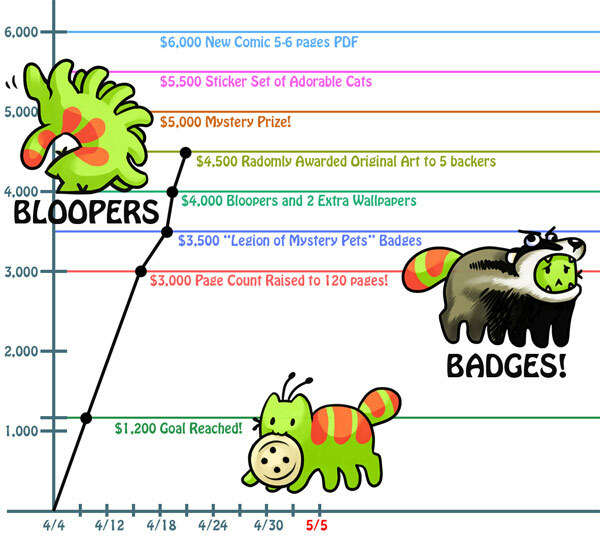 Which is quite a bit more then the 20 and 25 dollar pledge levels you can snag a copy of the book for during this Kickstarter campaign. 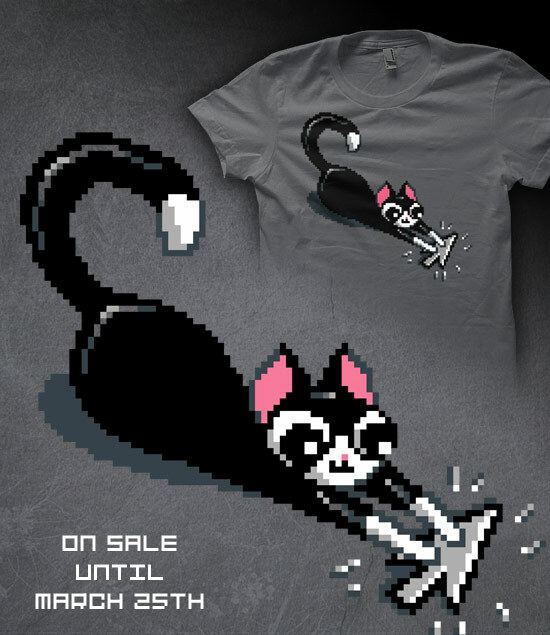 =D These lower prices are special Kickstarter only price breaks. After the end of the Kickstarter the book will still be available at 30.00 but it’s a steal if you order now. Tell some friends so they don’t miss out! As an added bonus for telling some friends I thought up some new fun goals for extras to add into the mix should this project continue to grow. If we reach 3,500 everyone at the 25.00 level and up will get a free badge. 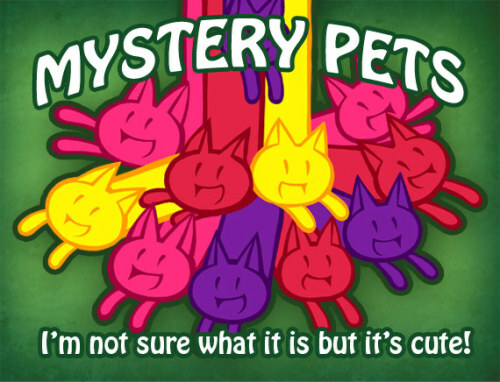 Proclaiming you belong to the “Legion of Mystery Pets”. This badge will be exclusive to the backers of this Kickstarter only. Should we hit 4,500 I’ll randomly add 5 originals into 5 backer’s packages (at the 25.00 level and above). The higher the pledge the more chances you’ll have. Thanks again everyone I really could not have made this book without your support. In the up coming days I will start really working on putting the book together. There will be updates on my progress as I go. Filed under Animals, Art, Original Art |	Comments Off on 3,000! Page count is now raised to 120 pages. New extras! OMG, Taxes are done! My dragon homework is done! Kickstarter is moving along fine (update soon, hopefully tomorrow with awesome news, please continue to spread the word)! 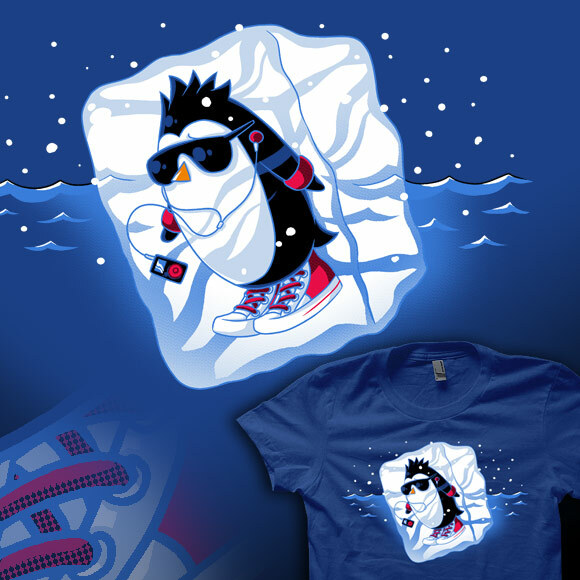 And finally, finally I was able to finish my shirt design for Shirt.woot’s “Open Spaces” contest. It’s the four seasons in an art nouveau style. 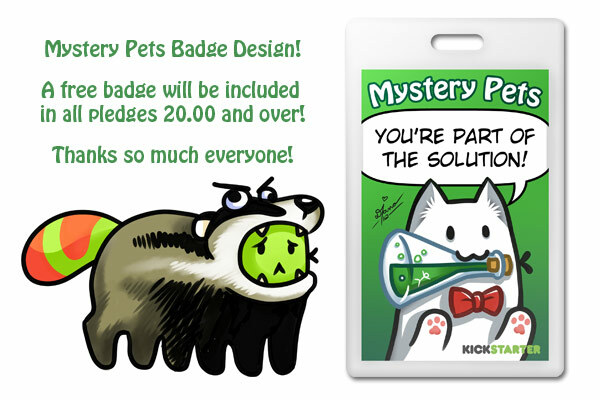 Mystery Pets Art Book on Kickstarter! Let’s make an art book! Last Year for San Diego Comic Con I published a small paperback sized collection of my odd animal art as a book called Quirky. 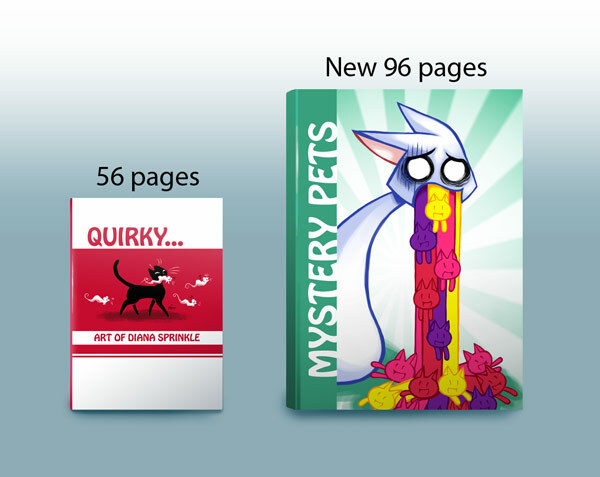 Quirky was a 56-page perfect bound book that I funded myself and printed in full color. But I’ve already made so much more art that I’ve out grown this small collection and would like to tackle a more substantive tome of my work. While most of the art is complete and ready to be collected I still need a little help funding this bigger project. I want to print a 96-page graphic novel sized full color collection of my art. The book itself will be much bigger in size and page count than Quirky. So I’m asking for a minimum of $1,200 all of which will be going into the cost of the print run of this new collection. 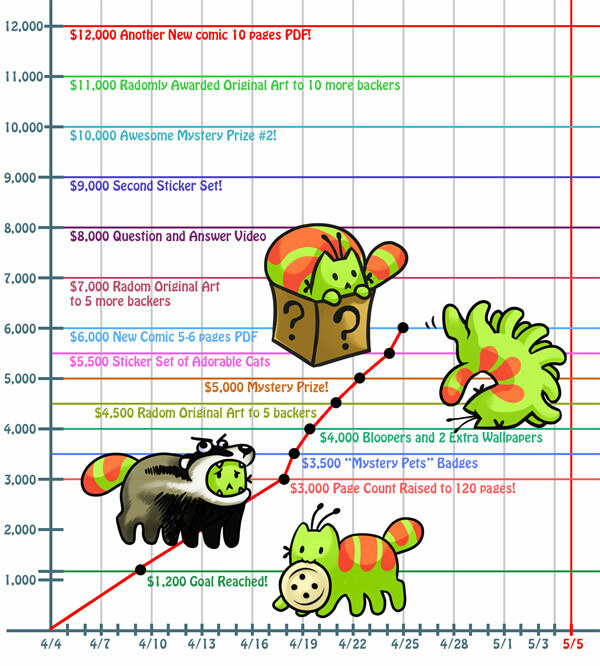 Depending on how much you pledge you will receive rewards and items in many different combinations, all of which are fully explained on the Kickstarter site. I’m going to include a lot of the art I couldn’t fit into Quirky and as much of the new material I can. I’m planning to have the book made and produced a month before San Diego Comic Con. I will be shipping out copies to backers before the convention so the awesome people that help fund this project will be the first to get their hands on this book. I hope you guys will be interested in helping me out. Please go to the Kickstarter page for more info and to also see a video I made of me being silly and pitching the project. It’s funny just how easy it is to use iMovie to make an embarrassing video of yourself flailing around. Even if you can’t pledge it would really help me out if you guys could share the link, favorite and reblog and retweet and facebook it or something. That would be super awesome. I’m really looking forward to getting this book made. Thanks! 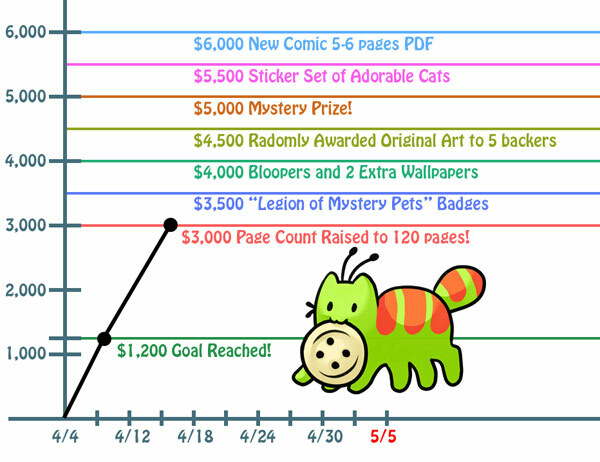 Filed under Animals, Art, Original Art |	Comments Off on Mystery Pets Art Book on Kickstarter! Let’s make an art book! 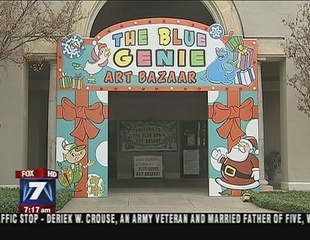 Local Artists Featured at Blue Genie Art Bazaar. I thought this was pretty neat! LOL My wall of art and prints appears in this news feature for the Blue Genie Art Baazar! They focus on my kitties! Is amused. The show goes until Christmas eve, which is Saturday. Located in Austin, TX. =D WOooooo. Also I finally started to update the store! New prints are available! Homework Is About to Die! New design for woot’s “Everyday Roleplaying” derby. 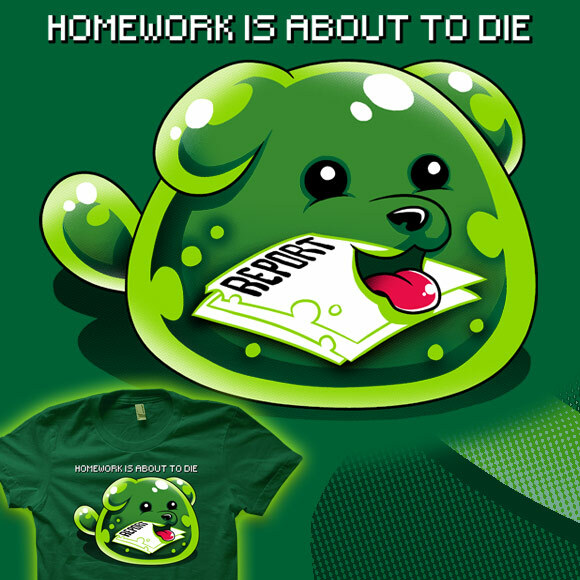 A wild dog slime appears… homework is about to die! 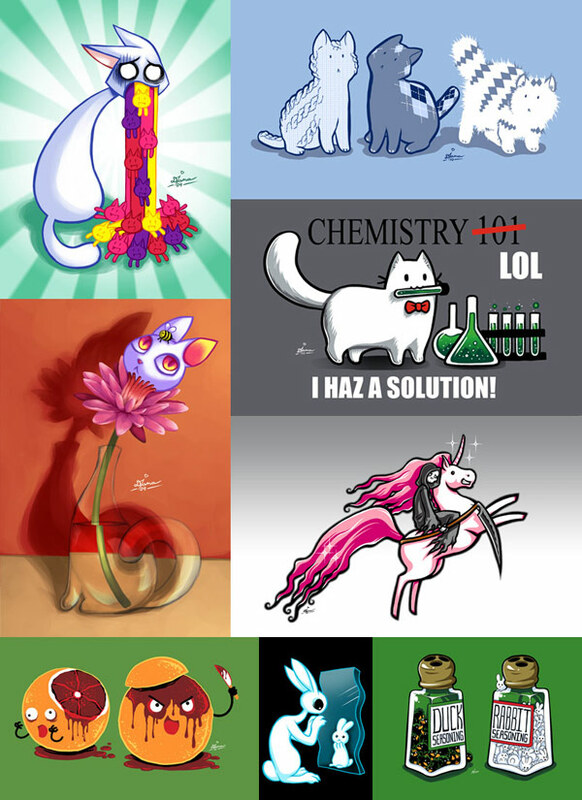 Filed under Animals, Art, Original Art |	Comments Off on Homework Is About to Die!